Debate on a motion urging the House of Representatives to take the necessary steps to rename the Throne Speech as the ‘People’s Speech’, began in the Lower House on January 22. Opening the debate, Member of Parliament for North East St. Elizabeth, Raymond Pryce, noted that the motion identifies an outstanding matter which, when passed, can complete another aspect of the country’s independence at no economic cost, but with significant psychological and symbolic value to the people. “For those in Jamaica who may describe the change of the name of the Throne Speech to the People’s Speech as mere symbolism, the experience across the Commonwealth is replete with examples of what some could call symbols and symbolism to proclaim and reconfirm independence of their legislature from the Queen,” Mr. Pryce said. 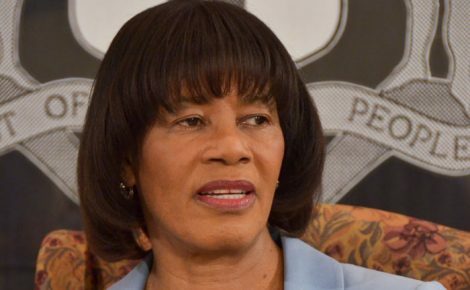 “The basis of this motion is to place the people of Jamaica as the beginning, basis and end of this Parliament and to let them and their development become in word, thoughts, practice and tradition our principal motivation for all that we do on their behalf,” the Member of Parliament said. In the motion, which was tabled on April 24, 2012, Mr. Pryce said the renaming of the speech would be a timely and lasting acknowledgement that the priorities, projects, policies and programmes contained in it are intended to honour and give thorough meaning to the primary responsibility of all governments. It is the custom that each year the government’s framework for the year is outlined by a speech delivered by the Sovereign Her Majesty Elizabeth II of Britain or her representative under law, the Governor-General of Jamaica.